Sahoo, Amaresh Kumar Sharma, Shilpa Chattopadhyay, Arun and Ghosh, Siddhartha Sankar 2012. Quick and simple estimation of bacteria using a fluorescent paracetamol dimer–Au nanoparticle composite. Nanoscale, Vol. 4, Issue. 5, p. 1688. Anderson, E. S. (1960). Mon. Bull. Minist. Hlth 19, 172. Christie, A. B. (1971). Br. J. Hosp. Med. 6, 331. Christie, A. B. & Christie, M. C. (1971). Food Hygiene and Food Hazards 1st ed. London: Faber and Faber. Ministry of Health (1959). Mon. Bull. Minist. Hlth 18, 158. Riemann, H. (1969). 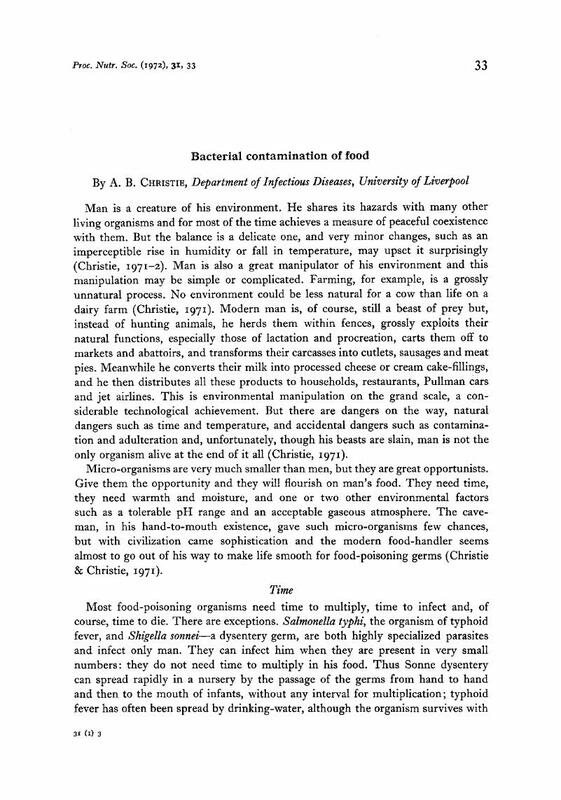 Food-Borne Infections and Intoxications 1st ed. New York and London: Academic Press. Semple, A. B., Parry, W. H. & Graham, A. J. (1961). Lancet ii, 364. Statutory Instrument (1970). Food Hygiene (General) Regulations, 1970. Stat. Instrum. no. 1172.
WHO (1970). Tech. Rep. Ser. Wld Hlth Org. no. 451.